It is a usual practice to completely ignore your rooftops until a crack or a leak appears. But in order to enhance the lifespan of your building, a good idea is to have it undergo a thorough inspection and maintenance at least once a year – this can potentially save you from an expensive overhaul in the future. Roofs are exposed to extreme weather conditions – from sunlight, rain, hail and snow to continuous changes in temperature that disintegrate the surface. With proper maintenance, the service life of a roof can be expanded to about forty years. 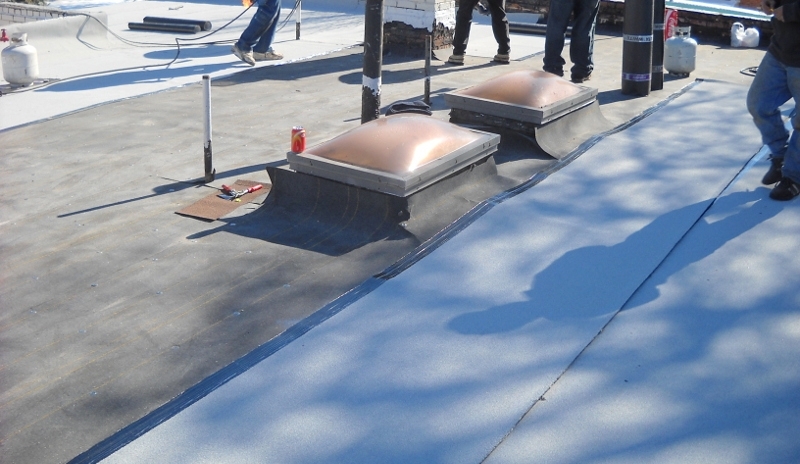 Contrary to popular belief, you need to adhere to a maintenance schedule of flat roofs more diligently than pitched ones because of easy accumulation of debris, dust, and dry leaves. But it is a much easier prospect because of its accessibility. The best time to sweep and clean your rooftop is during fall and spring. Make sure that you clear all clogged gutters before the onset of rain or snow as standing water can potentially seep in and cause damage to the structure of your house. If you have neglected the roof long enough, make sure to check for trees growing from some unassuming crevices. If the cracks are small enough, you can actually fix it on your own but a split or a larger crack would usually need professional attention. Splitting or blistering roof membrane: This is typically a result of aging and is caused due to stress throughout the roof. The damage is more evident in extreme weather conditions. Curled, cracked or missing shingles and tiles: Curling is a sign of an approaching end of service life. Make sure that you immediately replace the roof. Stains or damp spots on ceiling walls: This is a result of moisture seeping through the roof surface. Ensure that the drains are all cleared and there is no standing water on the roof. Growth of moss, algae or fungi: This is more commonly seen in the tropical areas where the chances of accumulating water are higher and its excessive growth can potentially damage the shingles. So bleach them out before they can harm the structure. Damaged asphalt shingles: Sometimes excessive wind and tree branches can remove the asphalt granules from your shingles, which not only removes the outermost protection of your roof but can also give your house a messy appearance. With proper inspection and maintenance, a roof can effectively shelter you for a long time, standing between you and forces of nature.